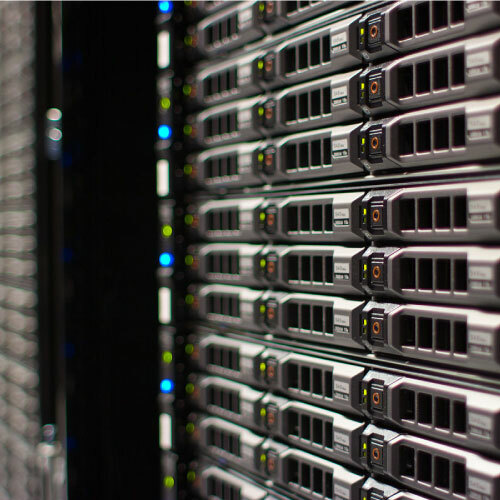 Whether you are a small business requiring hosting or big business needing enterprise solutions, anything and everything to do with servers is one of our specialties! If you are not quite sure of what kind of server solution your business requires – this is where we come in! We are especially good at performing assessments on your business, your existing infrastructure, your users, their needs, budgets, space, usability requirements and much much more and then come up with a server solution that will be just right for you! Not only do we look at the best solution for you now, but we also assess how well this solution can take you and your business into the future. It is never just a sale to us – it a long-term relationship! Does your business have complex IT requirements with strict security protocols? Sydney IT Solutions will assess, resolve and implement the best possible server solution for you! We are here to help you with the right server solution that will best fit your needs and your budget so that you are not stuck with either spending too much money, or a server solution that does not match your criteria – or both. Server is more than just another computer. Whereas a desktop and a server might sometimes appear to be the same thing – they are, in fact quite different; a desktop being a personal computer and a server being a machine which is engineered to run multi-user applications, databases, enterprise planning and CRM software, as well as being the tool that acts as a central repository for all shared data. Servers could also host the company Inranet, allowing your personnel to share data quickly and efficiently. Servers are specifically designed to be secure, reliable, and can continue operating properly even in the event of fault or failure, and come with redundant storage solutions. What’s more, when we help you find the best server solution, we make sure it is one which is scalable and is able to grow with your business. Choosing the right server is a detailed and intricate process, and there is no ‘off the shelf’ solution which will work out of the box. What kind of applications you need to run on it, and how many? Are you operating an email or print server? How many users will be accessing it to carry out their work? Will the server be used to manage a complex database? Are you running complex server-based operations? How large are your storage requirements? If you are a 3D Rendering business, how many Render Nodes do you need to complete jobs on time? At Sydney IT Solutions, we have working relationships with some of the biggest server providers in the industry, and are able to provide you with a server solution of any scope; from a regular server machine to an entire in-house data-centre. Fill out the form below and one of our staff will get in touch with you to see how we can provide IT Support for your business.